Murder Detective: Jack the Ripper already has a trailer! A private detective (Arthur), shocked by coming upon a dead body, gains the ability to see a phantom who identifies himself as Jack the Ripper. You can take the detective path... or the murderer path. With the detective route, Arthur is calm, rational, and logical; he considers the whole picture and often squashes his own feelings. For the murderer route, Arthur is willing to do anything to protect what matters; actions happen before thoughts appear, so he is impulsive and reckless. Murder Detective: Jack the Ripper will be released for the Nintendo Switch and PlayStation 4 in Japan on April 25. I'd be shocked If it doesn't come to Western territories soon after. Moero Chronicle is coming out west on Switch! Moero Chronicle is one of the most Idea Factory games on the market. So fanservicey that it would make Sony blush (and subsequently demand edits to it), the game is actually a very well-made dungeon crawler underneath that surface, and previously was only available in the west on Steam. We never got the Japanese (or English in Asia) PlayStation Vita original. Now it's coming to the Switch, fully remastered in HD for our additional pleasure. Additionally, the game will make use of the Switch's vibration function for the rubbing minigame, which was the function that turned so many heads with the original release (and probably convinced Idea Factory not to bother with the western release at first). The game will release in spring 2019 (or autumn for those of us in the southern hemisphere). There won't be a physical release for this one, so you'll need to load up the eShop to grab it. The Nintendo Switch has had some superb dungeon crawlers already in its short lifespan, but expect this one to sit right at the top. 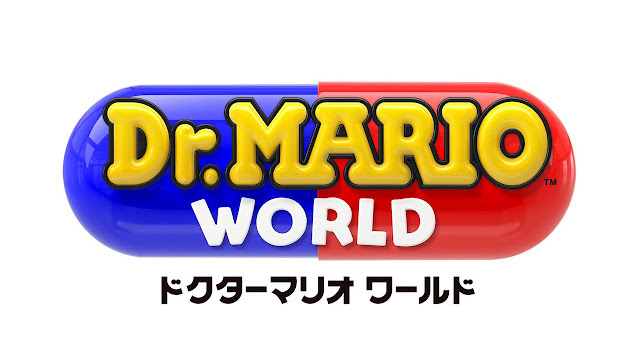 Nintendo has created a partnership with LINE to bring Dr. Mario World to iOS and Android devices. Dr. Mario World will launch as a free-to-download title — I'm assuming much like Super Mario Run, with most levels behind a one-time paywall — in 60 countries "early this summer." I would take that to mean June/July unless there's a delay, which isn't uncommon in mobile titles. Don't expect this to be the only mobile title to come from this partnership; it sounds like both companies are planning a continued partnership. Final Fantasy XIV continues to be the most interesting and compelling MMO going out there, and continues to prove, via these massive expansions, that it's a game that actually justifies its monthly subscription cost. The next major expansion, Shadowbringers, lands on July 2, and has all kinds of goodies to get excited about. Most excitingly of all, however, is the news that Yoko Taro is joining the development team briefly to design some of the dungeons. You just know that the guy behind NieR is going to do something crazy with the way MMO dungeons work, and it's going to be beautiful. In addition there's a new class for people to sing their teeth into (they use gunblades! ), a new race (the rabbit-eared Viera from Final Fantasy XII), a new primal to battle and so very much more. The expansion will naturally be available across both console and PC. With it not coming until July 2, lapsed fans (including yours truly) have plenty of time to sign back in and get themselves up to scratch in time so they can enjoy the expansion and its new stuff to do at launch.